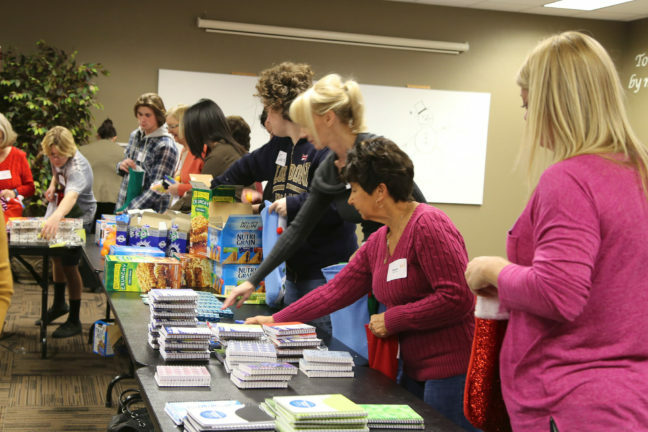 Looking for holiday donation and volunteer opportunities? Visit United Way California Capital Region’s online Volunteer Center at www.yourlocalunitedway.org to find more than a dozen needs in one place. Holiday volunteers and donors are encouraged to post photos of their work on social media using #happy2help. “The Sacramento region is filled with generous people wanting to give back during the holidays, so we’ve gathered numerous opportunities in our online Volunteer Center to make it easy to choose the project you’re most passionate about,” said Stephanie Bray, president and CEO, United Way California Capital Region. Anyone can sign up to volunteer or donate, and most nonprofits across the region are eligible to add their volunteer opportunities, and can do so through the website. For questions, contact volunteer@uwccr.org. United Way launched its online Volunteer Center in 2014 to provide an organized, community-wide portal that connects the Sacramento region’s volunteer and donor base with United Way’s 160 local nonprofit partners and other local organizations. The center is designed to connect individual donors and volunteers, as well as corporate or group volunteers, with opportunities of all sizes and commitments throughout the year. Community members can log onto the website and create a profile that lists their interests, become fans of participating nonprofits, join volunteer groups, donate unused materials and household items to nonprofits in need, learn about upcoming special events and fundraisers, and advocate for causes. The center was partly launched in response to United Way’s 450 corporate partners looking for a coordinated way to engage employees in corporate social responsibility through volunteer work, donation opportunities and events. United Way’s Volunteer Center is part of United Way’s Square One Project, which recognizes the importance of volunteers in making sure nonprofits and schools are equipped to provide a full support system for kids. The Square One Project is a 20-year promise to significantly increase the number of local students who graduate from high school ready for success in college and beyond. Through nine decades of work and research across Amador, El Dorado, Sacramento, Placer and Yolo counties, the local United Way now believes ending poverty starts in school and is working to ensure kids meet important milestones for success in college. To donate or volunteer, visit www.yourlocalunitedway.org.